Planning ahead for your next move is important and you might already know that if you’ve moved from one country to another. But, there’s one thing that’s even more critical, that is, to think beyond that move. 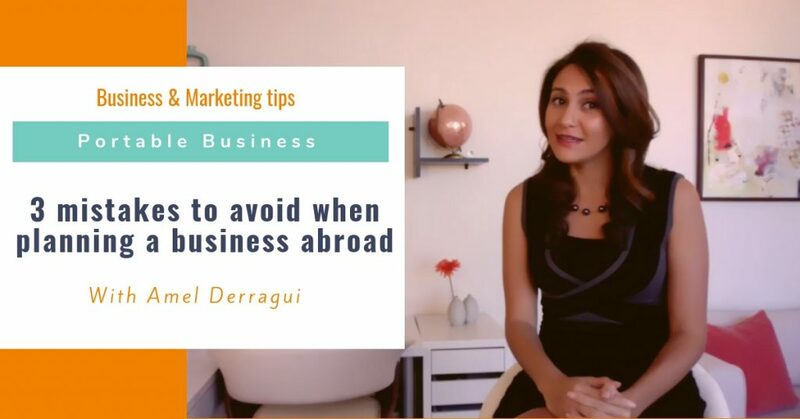 My mission in this episode is to share with you the three major mistakes I see expat partners and global nomads make trying to build a profitable business on the move. I will share those mistakes as well as my golden rule to enable you to make your business truly portable, sustainable, and profitable on the move. The first one is to plan for the next move and focus their business idea and their business development on the local market of that country. I invite you to think beyond that next move. Why? Because you might know by now that one move often leads to another. Most of you might have even decided to move abroad for one experience and then realize that you have another opportunity for another country and then another one and then another one. Even if you’re not planning to move to another country after the one where you are, challenge yourself to think about the long term. Think it through. Is there a chance that you might be moving again? This exercise is important because I see a lot of expat partners and global nomads build businesses without thinking of the long term. I truly believe that entrepreneurship is the solution to dual career challenges and finding the lifestyle we want on the move and establishing ourselves in a foreign country. But the problem with that is if you move again to another country, you find yourself back at square one. For instance, you develop a local business and have to move again. You find yourself having to just leave it behind and start all over from scratch. Is there any chance that you might move again to another country? If yes, then makes sure that your business is truly portable. The second mistake that a see a lot of expat partners and global nomads make is confusing a portable skill with a portable business. For example, a yoga teacher is a career that can be done anywhere in the world. You can teach anywhere but it’s not a portable skill that makes business portable. If you’re a yoga teacher, you need to deliver that service physically. And when you move to another country, you won’t be able to have a sustainable income because you will need to develop your clients in the new country. You might say: “I can do that. That’s pretty easy!” But in most cases, it’s pretty difficult to start brand new, to get to know new people and to establish yourselves in the country. And we know that on average in order to be settled in a new place you need at least six months to a year or two. A sustainable business does not have its revenue go down for six months to two years. If you really want to be a true entrepreneur and have a real portable business, your revenue streams should be uninterrupted during a transition. Make sure that your business is truly portable, that you can move it from one country to another and your clients and your revenue stream aren’t disrupted on the move. Mistake number three is to underestimate the power of building meaningful relationships online through virtual tools. One of the major objections I hear when I talk about how to build a portable business is that having meaningful relationships with work colleagues is really important to you. It’s truly respectable and amazing that you believe that. But I have great news for you: it is possible to build meaningful and powerful relationships with people even through virtual tools. I have experienced it myself and have built relationships and friendships with clients along the years. And, that has not affected the quality of the work we do together nor the services I can provide to my clients. Challenge yourself. It is possible to build virtual relationships that are truly meaningful. It just requires you to stretch yourself and embrace technology. Get out of that comfort zone of having a physical and local business. The zone of growth is the one outside of our comfort zone. Challenge yourself to think about how you can build meaningful relationships online. To combat these three mistakes that expat partners often make when trying to build and plan their portable business, my 60/40 rule is the key. 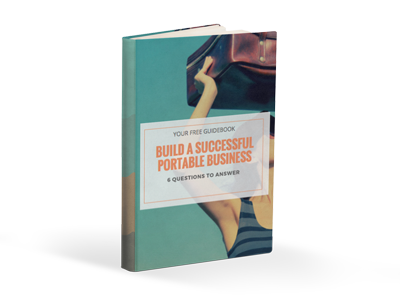 It has helped my clients, but it has also helped me in my own business to make it portable and sustainable. I believe that if you’ve chosen this mobile lifestyle of moving from one country to another you’ve done so to have a local experience as well. It would be a shame to move from one country to another and have no connection with the local community. My 60/40 rule that I recommend to most of my clients means having a business that is 60 percent based in the virtual world and 40 percent in the physical world. That means you have at least 60 percent of your business revenue that continues while you transition and build your client base locally. Remember that your local client base has potential clients that you can take with you later on. When you move on again, those local people can be shifted into that 60 percent of your virtual revenue stream. Think about this as you build your portable business: how can you make sure that your revenue is 60 percent virtual and 40 percent local or physical? For me, this is the ideal balance to make sure you can continue a business on the move even if your business is very physical. If it’s really challenging and you struggle to make your business portable and virtual, adjust the rule to make it easier for you. For example, if you’re a tailor and you make custom tailored clothes for your clients, how do you make this very physical business portable and virtual? Think about how you can have at least 40 percent of your revenue that doesn’t depend on a physical interaction. For example, you can design some pieces that you would sell online that could fit anyone. Like small jackets or bags, anything you think that would work for anybody without having to tailor make them. Think about what you can do that’s aligned with your style as a tailor and that you can brand and sell online even if you still have 60 percent of your clients who are physically based. The 60/40 rule is the healthy balance when building your portable business so that you can survive on the move and have your business continue even when you’re in transition. This is what I want for you. You will know that you have a real portable, sustainable business when you continue to have revenue even when you’re in the middle of packing and moving to a new country. What was the major insight you learned from this? What is the one insight you will implement as soon as possible in your business?